Remember flipbooks? They’re basically old school animated GIFs. You just need to draw a bunch of frames that lead into each other slowly so it appears to be in motion as you quickly flip through it. You could create a special message with your flip book illustration or make it funny. Even if you’re not an accomplished artist, it’s super easy to do this with stick figures and plain lettering. Here are some basic instructions. If you happen to have a cassette player, I recommend doing this the old school way as long as the tape is for someone who has the means to play it. Otherwise you’ll have to put it on CD. 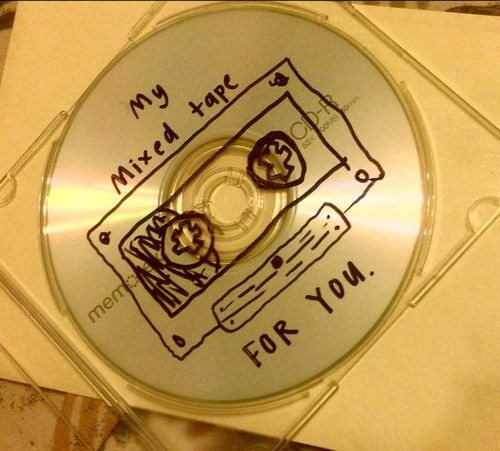 Half the fun of the mixed tape/CD is the customized cover art that you make — so be sure to go all out for that. In case you need some help in this department, here’s a handy guide. Print photos of a vacation you took with this person or select an assortment of the best photos you’ve taken together since you met them. There’s something especially nice about a photo album to flip through, since we’ve all mostly been looking at digital photos for 10 years now. You could also write nice or funny captions below the photos or go all-out scrapbook with this project and add drawings or paste in decals or decorative paper shapes. You can get cheap empty photo albums at the dollar store or another discount store. You might even have some laying around that you got as a gift and never used. 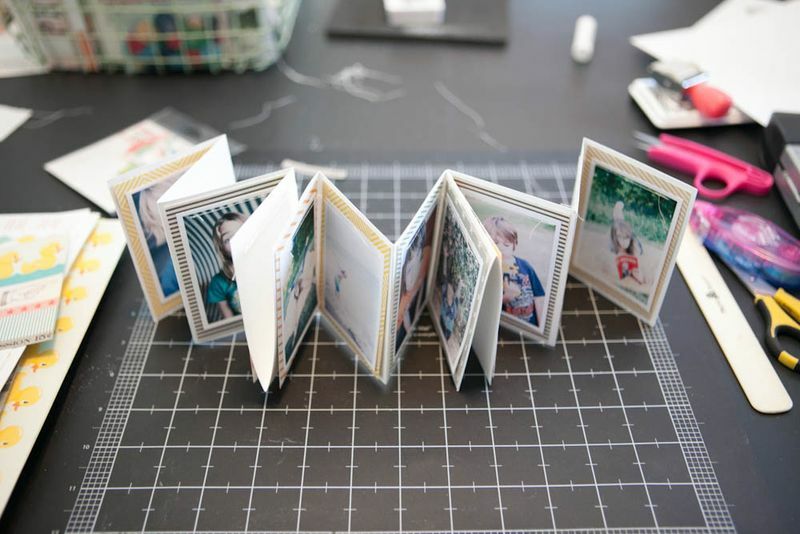 Or you could try this DIY accordion photo album. This could be a photo collage or cutouts from magazines, vintage publications, or books. 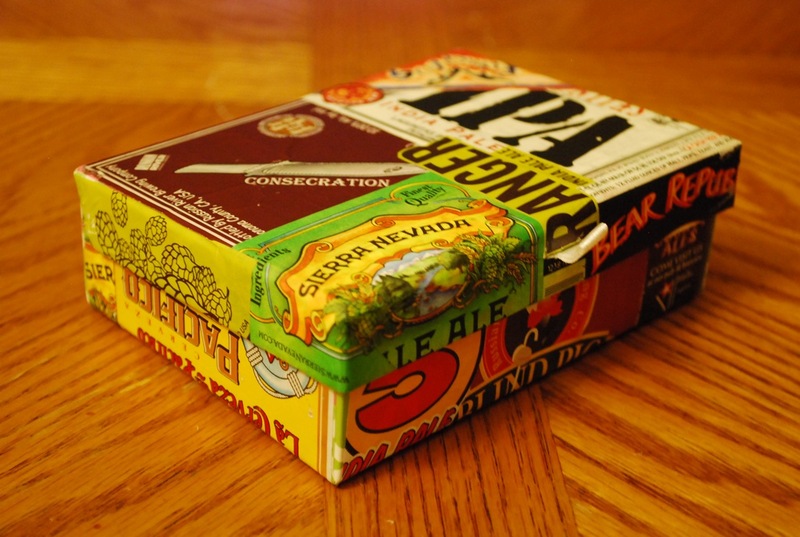 Try collaging something other than a piece of paper, like the table top of a small side table from a thrift store or a keepsake box (you could use a sturdy shoebox). You can seal it in with a water resistant resin. Follow guidelines for the tabletop in this tutorial or check out instructions for making a shoebox collage about yourself and apply them to the person to whom you’re gifting the box. 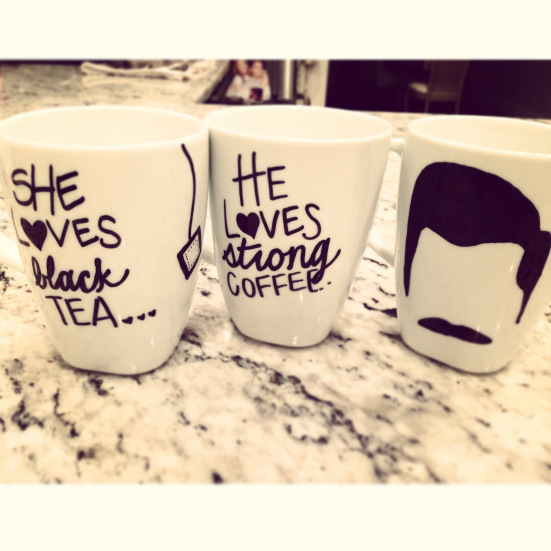 Use a sharpie to draw a heartfelt message onto a mug for a loved one. Grab a cheap plain coffee mug at Goodwill or a dollar store and write something meaningful that will make the gift recipient smile or think of you when they drink from it. Follow the instructions at this blog for making that Sharpie design extra permanent by baking the mug in the oven. 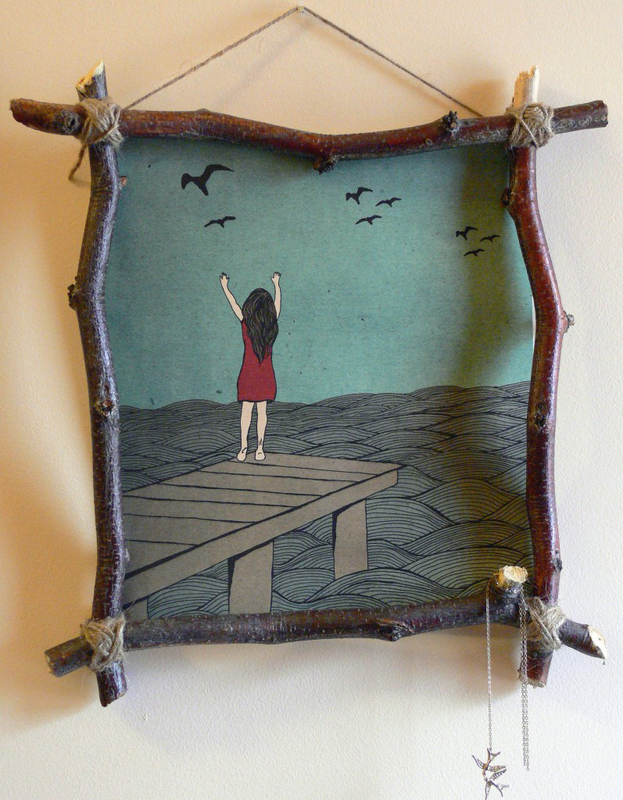 Buy a print, create a piece of artwork or enlarge a nice photo for presenting in a homemade frame. There are lots of ways to make frames at home, involving easy to find items you’ll have at home scrap wood, tree branches, popsicle sticks, cardboard, and more. Here’s a good post that sums up a number of DIY frame ideas.